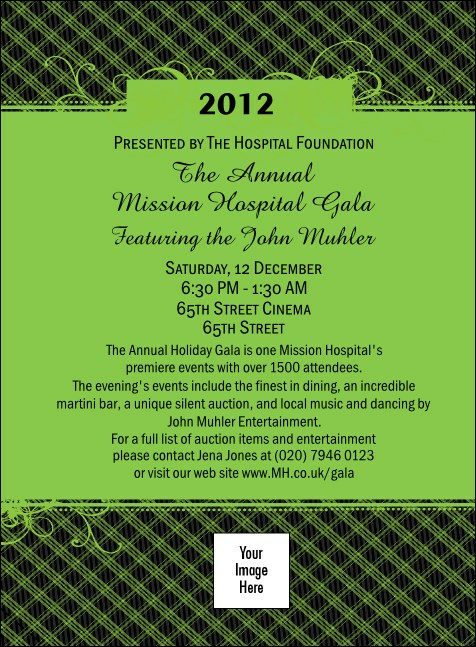 Face the facts: your gala promises to be spectacular! Now, share that message with your mailing list by choosing the this Gala Plaid Green Invitation, with a fun fabric-inspired background and space to upload any custom image, logo, or photograph from your own files! Just one more detail you can check off your list! It's your event! Start selling it with UK Ticket Printing!